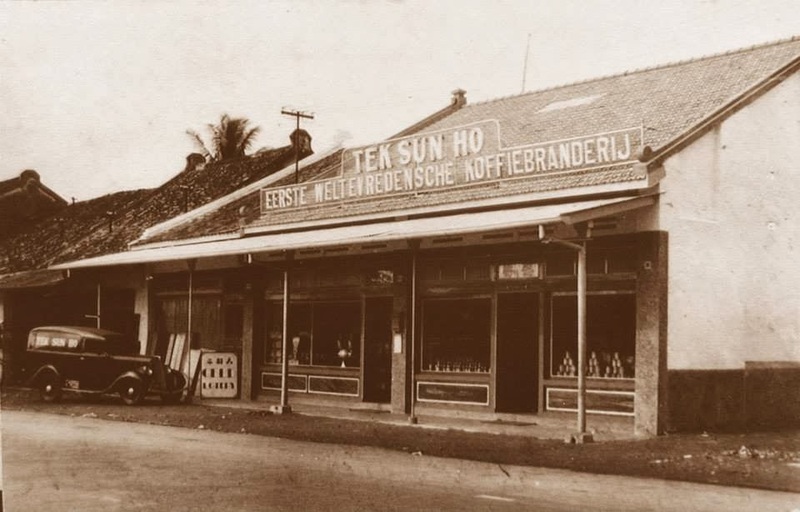 Koffie Warung Tinggi (Tek Soen Hoo) opened in 1878 as modest traditional style convenient store (warung) on Moolen Vhiet Oost in the Colonial Dutch-era Batavia, now Jl. Hayam Wuruk in Jakarta. Tek Soen Hoo Eerste Weltevredensche Koffiebranderij which roughly translated as Tek Soen Hoo's Shop was the first coffee roasting company in Weltevreden, known as Kota now. The locals called this coffee shop as Koffie Warung Tinggi (the high warung) because it was actually located on higher ground than the surrounding area. Koffie Warung Tinggi is now being held by the fifth generation of it's founder, Liauw Tek Soen and throughout the decades has developed from warung into a proper shop and coffee shop (Tek Soen Hoo), then into a coffee brand supplying some of Indonesia's best hotel, supermarket, and offices, as well as exporting to another countries such as Japan and The United Strates. 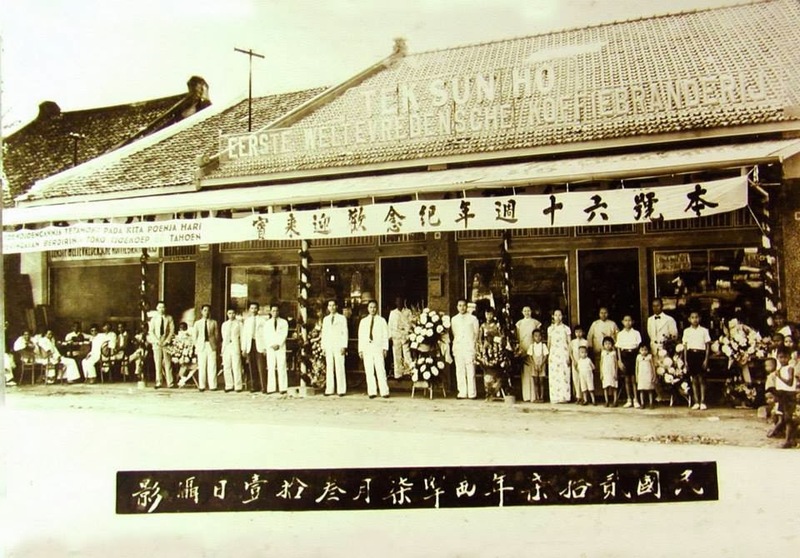 In 2013, after 135 years establishing itslef as the first coffee shop in Jakarta, Warung Tinggi's brand is being revamped under OPCO Indonesia's management that already succeed with Yellow Fin, Stark Bierhouse, Portico, Domain, etc, setting up coffee housed serving coffee with Indonesian-Dutch-Chinese influenced food, as well as penetrating into modern retail environments while retaining it's value as an Indonesia heritage brand. 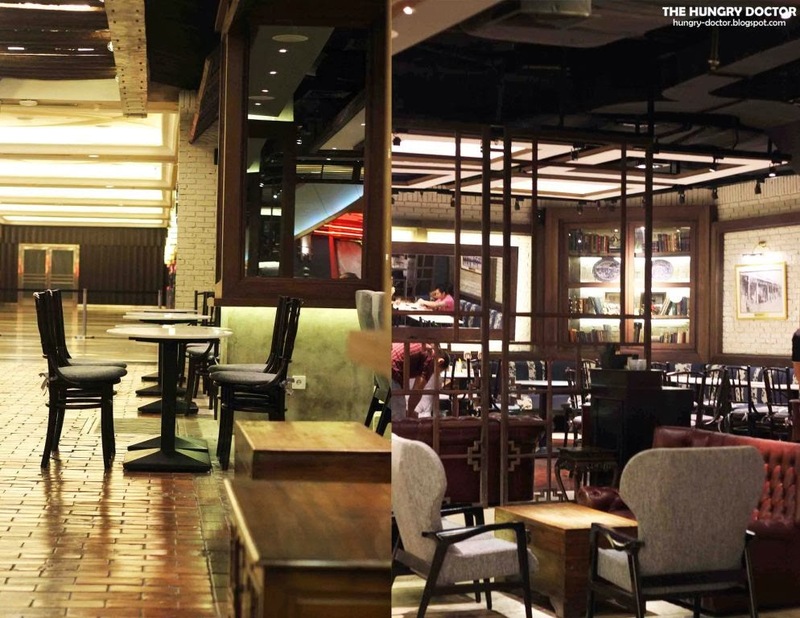 Now they're brewing in Grand Indonesia Shopping Town. Well, my dad used to have their coffee so when he and I were at Grand Indonesia and passed by this coffee shop, he really want to try this heritage Indonesian coffee which he missed so much. Actually I never heard this coffee brand before, but as the place was attracting and the aroma of coffee seems so tempting, there's no doubt to have a late night coffee here. We didn't afraid of insomnia because of caffeine at all, because we both already resistant for it haha. They were located on 5th floor and always hectic here and as you can see the interior was so homey and vintage from the sofa and some ornaments, they also separated the room into smoking and non-smoking area. Just like in usual coffee shop, you directly order on the cashier and you'll get the table's number. They have wide variety of coffee and also have cold-drip coffee which is quite rare and modern too. The spot was really comfy and there's a lot of electric-plug which have been one of the most important point of coffee shop :p anyway they also have high-speed wi-fi connection that made me enjoying my time here, beside coffee they also offer some Indonesian-Dutch-Chinese light bites : Martabak, Poffertjes, Kue Cubit, Bitterballen, Fried Cassava, Fried Banana, Panekoek, and many more. For you who're not into coffee they also served tea, chocolate and mocktails. Long Black coffee is the most simple coffee and strong of course, double-shot of espresso no sugar, cream or milk added. Really "man-coffee" so bitter and a lil' sour. But if you really want to taste an original coffee of Koffie Warung Tinggi, I think you should try this and of course no added sugar, when you already enjoy their bitter taste, it's good to add some sugar, anyway they also provided brown sugar and it's better I think. Because brown sugar have less calories and taste more like caramel. Superb coffee ! They using Robusta-Arabica mixing for the coffee based and what's so identic with Koffie Peranakan was the usage of condensed milk and here they put it quite much so no sugar added. Actually I prefer condensed milk rather than cream and sugar because the coffee will be milky and the colour also darker. The taste? of course good, I really impressed with their coffee, strong, rich and had a nice after-taste. People usually stir their coffee when they want to sipp it but this Koffie Peranakan was unfiltered coffee, so let the dregs went down and enjoy your coffee. My kind of favourite coffee. This is what I had, the most simple one, actually I love when it comes with peanut crumb and sesame too, but the price will be more than IDR 50K hmmmm and it's not worth at all I have to admit that they had lovely dough of martabak, smells so good, and when you eat it hmmm nothing I can say beside perfect ! 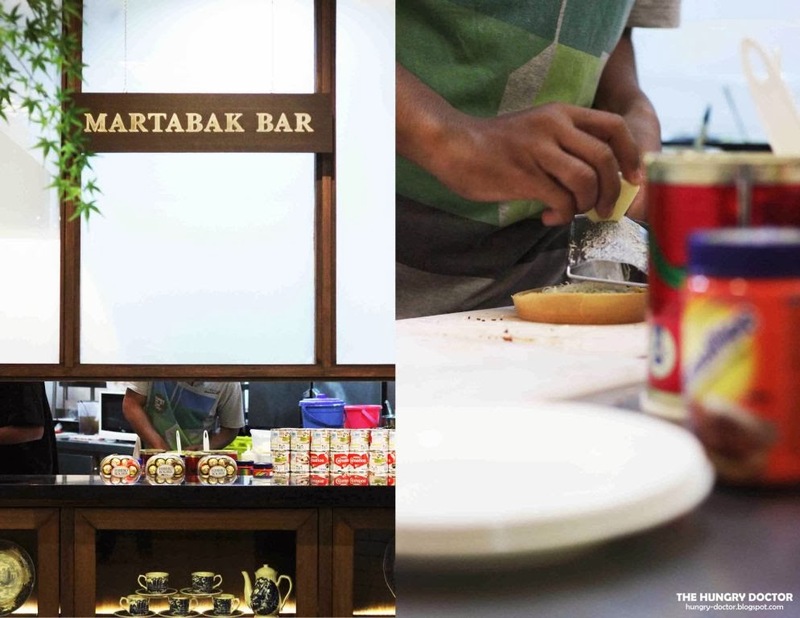 There's some part which was so crunchy, teriffic martabak, you get what you paid. Perfect coffee companion ! 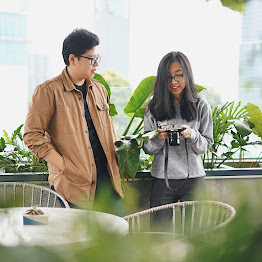 The first coffee shop in Jakarta has now brewing and be the newest coffee shop in Jakarta hmm interesting , it's a must visit coffee shop in Jakarta, trust me they'll be nominated as one of the best coffee shop hmm maybe they're not cheap, but remember they have quality for you to pay more. The price haven't included 10% tax and 5% services. Nice ambience, good food and great coffee, what're you waiting for?